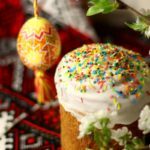 On Easter Sunday, the joyous exclamation of Христос Bоскрес! Christ has Risen! 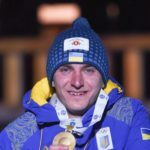 is met with the fervent response of Воістину Bоскрес! Indeed He has Risen! The new Easter album by the Chabluk family, appropriately named Христос Bоскрес, is truly an enthusiastic response to Christ’s resurrection from the dead, establishing that He is truly the Son of God. 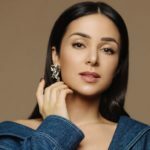 The words Христос Bоскрес are sung over 150 times on this album reinforcing this important message! 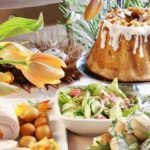 Easter is the most important celebration of the Christian Church. It is called Великдень or The Great Day! We commemorate the resurrection of Jesus Christ from the tomb on the third day after His crucifixion conquering death and promising everlasting life! This CD is filled with joyful songs including 15 variations of Христос Bоскрес, liturgical pieces and two arrangements of Alleluia that are sure to instantly fill your heart with Christ’s love for us during this Easter season. 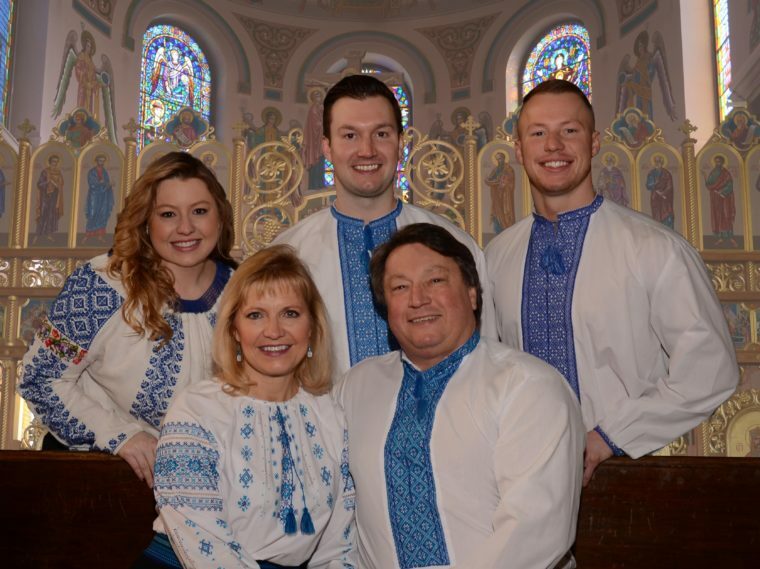 Chabluk Family; Bill and Maryka Chabluk with their children; Katrusia, Mikhas and Ivas have selected their favourite Ukrainian Easter hymns and liturgical responses for this joyous season. The album is sure to delight everyone, presenting lush harmonies sung in Ukrainian and Church Slavonic with some English verses. 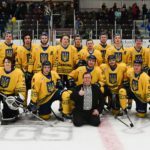 Mikhas and Ivas together with Julian Burdeniuk and Myron Burdeniuk, ЧУБ – Чотири Українські Брати- Four Ukrainian Brothers, singtwo awesome arrangements in this Христос Bоскрес collection. Guest vocalist Scott Chabluk also assisted as music advisor. Inspired musical arrangements, recording and mastering are by Tom Koroluk. The creative CD artwork and posters are by Ivanka Waplak. The Chabluk family has always enjoyed singing together and singing with other choirs. When the family would travel by van from Winnipeg to Regina to celebrate Easterwith family, the long road trips presented the perfect opportunity to sing together. They would sing songs travelling there and back. The family van became the rehearsal “booth” for faith filled liturgical pieces, folk songs and of course, Easter music! These road trips set a foundation for family collaborations on many musical projects. 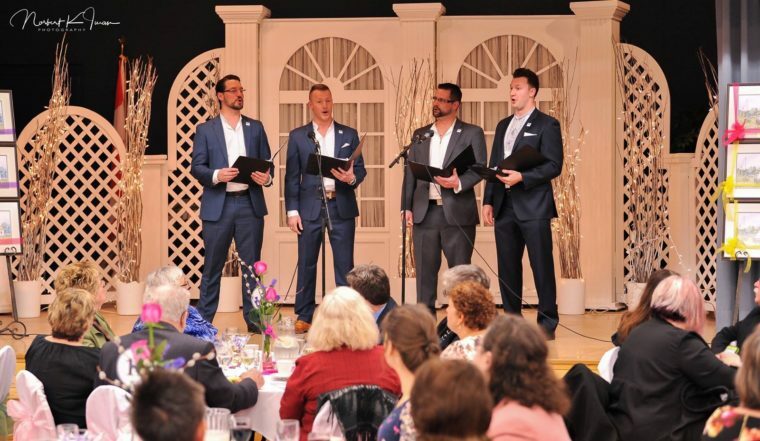 Members of the Chabluk family have shared their talents over the years through various choirs including Hoosli Male Chorus, O. Koshetz Choir and Melos Folk Ensemble. 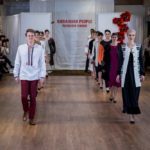 Other unique musical projects include Ukrainian recordings with Duet Maryna, Molodtsi Dance Band and Zrada. Net proceeds from CD sales go to support Home of Hope in Lviv, Ukraine, a ministry of the Sisters Servants of Mary Immaculate funded through the Lubov SSMI Foundation. The Chabluk family is very connected to the Sisters Servants of Mary Immaculate. All children attended Immaculate Heart of Mary School and Maryka attended Sacred Heart Academy, which was a SSMI school in Yorkton, Saskatchewan. At different times, the family has had opportunities to visit orphanages in Ukraine and Katrusia volunteered at the Help us Help the Children Camp near Yaremche, for two summers. They feel a strong commitment to support Home of Hope, where the purpose is to be a safe home for orphan girls who leave orphanages at age 16. The Христос Bоскрес CD is a collection of joyful Ukrainian Easter Hymns in celebration of Christ’s glorious resurrection.The angelic voices of the Chabluk Family are an excellent accompaniment to one’s own Easter journey. During the time of Lent, we are encouraged to sacrifice and meditate on comprehending Christ’s great sacrifice for us. This album is an excellent reminder of the great news that is to come at the end of this journey… Христос Bоскрес! 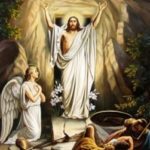 Christ has Risen! Duet Maryna, Maryka and Iryna Holowczynskyj-Wilson recorded three albums; Reflections of our Pioneers, Till We Meet Again and Christmas Carols, Joyful News. As they rehearsed for performances across the continent, their five children were often in tow, enjoying their mothers’ music. 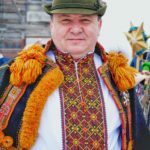 After Gigi bought Mikhas his first violin, Vuyko Darko gave Ivas his accordion and Vuyko Ivan from Ukraine, gave Katrusia a sopilka, the musical talents continued to develop. 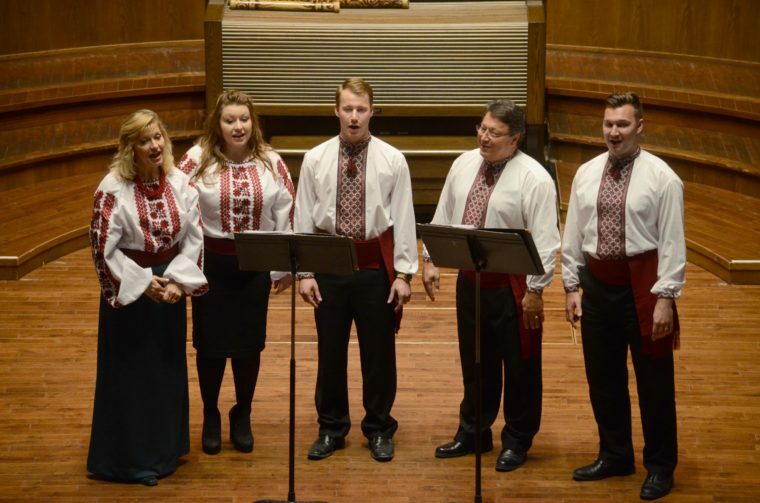 Molodtsi, Katrusia, Mikhas, Ivas, Brett Koroluk and Brittany Lasko recorded two albums, Ukrainian Dance Melodies I and II. These young musicians learned the “old time favourites,” and soon played like pros evolving their own unique style. 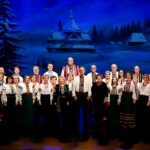 The family all contributed to Maryka’s Treasures, a musical collection of songs for families interested in learning Ukrainian. This CD comes with an activity book containing all the lyrics and almost 40 pages of puzzles and games. Mikhas tours and performs with popular, high energy band Zrada with three recordings, Ethomachina, Legend and The Fog.